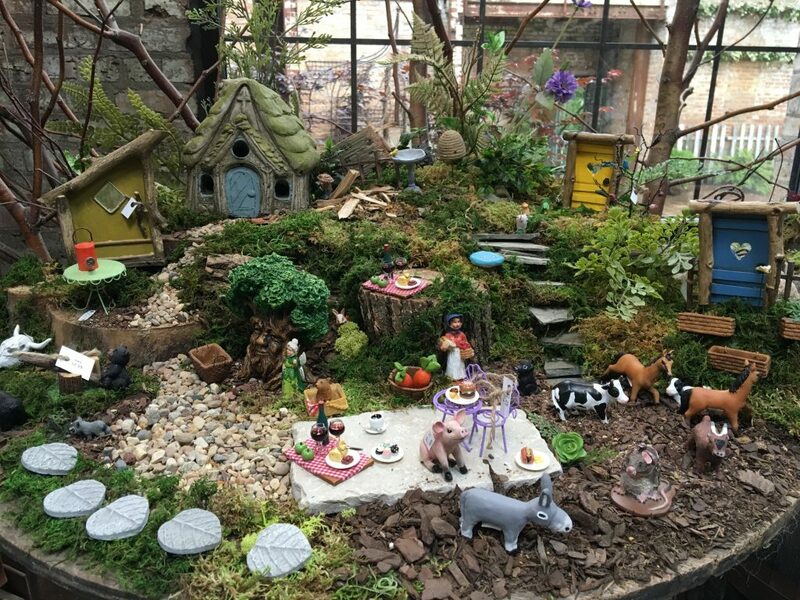 Ever wondered what’s so enthralling about miniature fairy gardens? 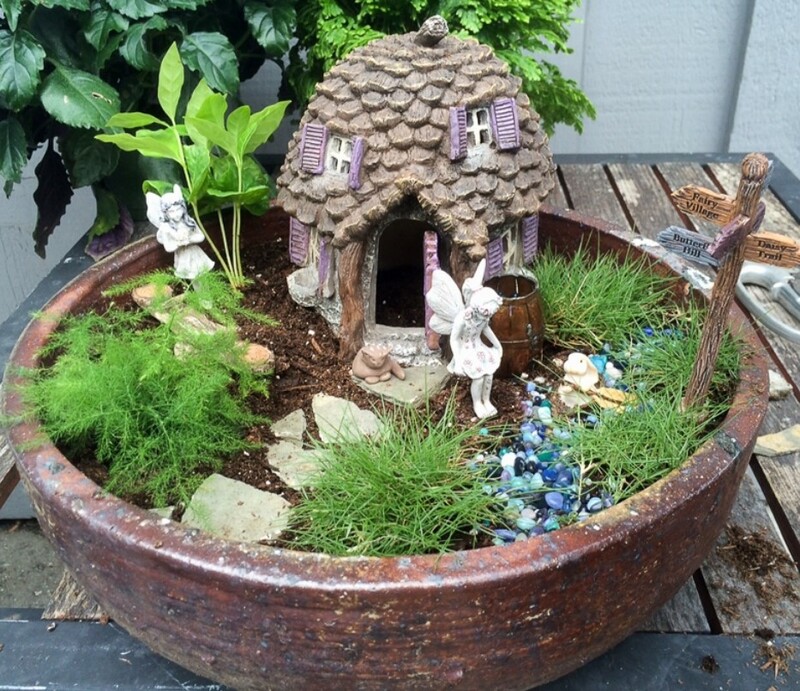 A miniature fairy garden feels mystical, magical and full of miniature enchantment. 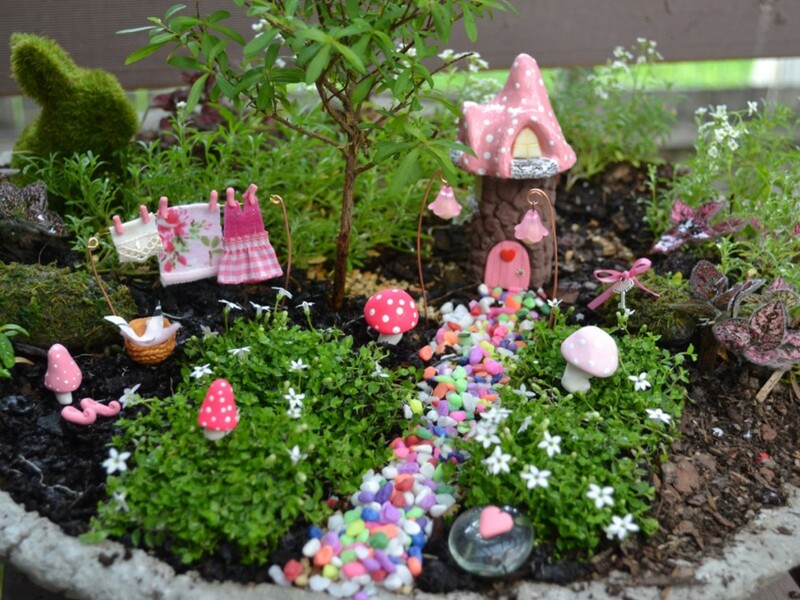 If you’ve never seen or made one before, don’t fret — we will show you how you can create a magical miniature fairy garden complete with fairy cottages, playful fairies, cute petite animals, wacky fairy doors and fancy garden accessories. Get yourself a container displayed in the picture above as the size is ideal for a miniature fairy garden. This one is from a manufacturer called L Garden. Fill the planter with potting soil. One full bag of potting soil will do. Just dumped it all out and level it all around the container with your hands or a hand trowel. This is the fun part. 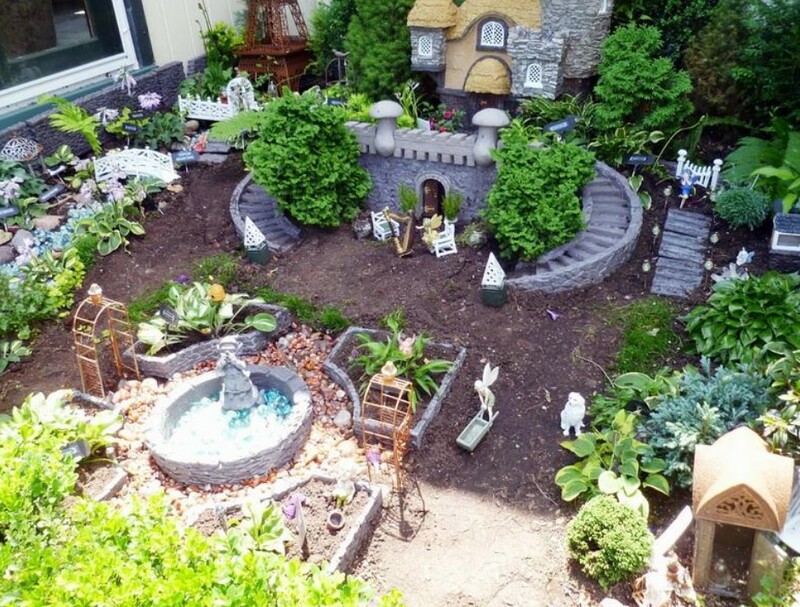 You can get really creative when it comes to setting up some puny miniature houses and cottages for your fairy garden. 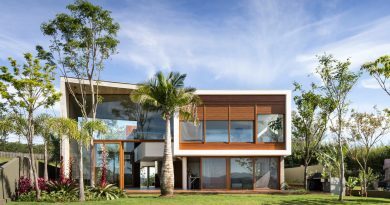 If you’re confused, you can splurge on something like this three-story condo that looks like it was built into a tree trunk. You can see the stairs, the ledges and the leafy branches twisted at the top. Heck, there is also tire swing on the left! It is sweet and looks magnificent. This is my favorite part. My personal favorite is the blue fairy as seen in the picture. Why? Because my favorite color is blue and she white doves on her stretched arms. I love doves. I also put a set of fairies or let’s say two fairy sisters talking with their arms around each other. I also liked the fairy with the purple dress as well as the tiny pink fairy. I also out this periwinkle fairy and a sleeping fairy under a leaf. To complement the miniature condo, I placed a yellow fairy as seen in the picture sitting by the front door. If this is too girly for you, well I didn’t forget about the boy fairies. We put this boy fairy sitting on the dock, fishing, alongside his dog. You can also use more boy fairies if you want or you can imitate what I did to my miniature fairy garden. It’s up to you. You can use a ton of garden accessories for your garden. You will find many adorable fairy garden accessories to choose from which will compel asking yourself — where do I start? Well, for starters you can a dock and little pond like the one we put up for the boy fairy. However, to make things simpler, we recommend you think of a “theme”. For example, if your fairy garden theme is all about to have only one cottage, you can include a small, adorable fairy birdbath in the yard, like the one in the picture above. You can also place a tiny mailbox if you fancy. Depending on your theme you can put a fairy wagon, a fairy playground with a tiny fairy seesaw, a mini wishing well with a bucket, miniature bluebell-inspired lampposts, village street signs like the one “Enchanted Garden” sign we used in our fairy garden, and so on. The options are endless. No fairy wonderland is complete without animals in it. So, remember to include some of these squirrels frolicking in the fairy garden or this tiny confused looking rabbit. And yes, don’t forget to include a lovable miniature dog with a butterfly on his nose! Dogs aren’t only a man’s best friend, fairies love dogs too! 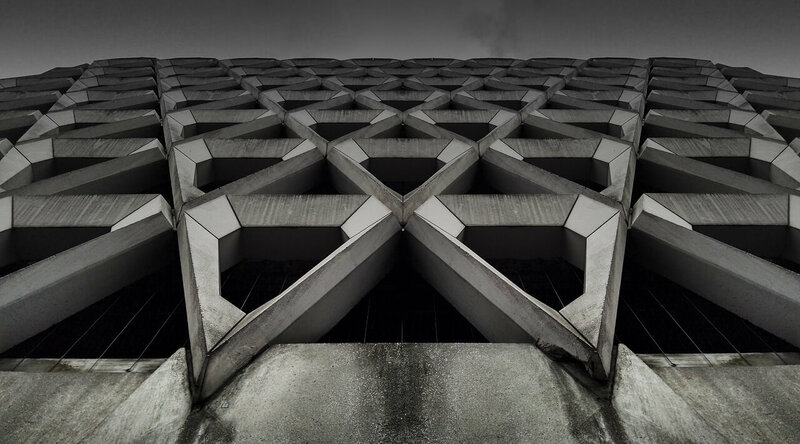 Why Embrace Using Photogrammetry For 3D Architectural Visualization?